Death has one of his episodes again and left his post, which means that his granddaughter Susan has to take over his job without really knowing what she’s doing. In the meantime the young musician Imp Y Celin comes to Ankh Morpork. When he meets up with the dwarf Glod and the troll Cliff, they start playing a new kind of music – Music with Rocks In. And with that they start events much bigger than they thought at first. 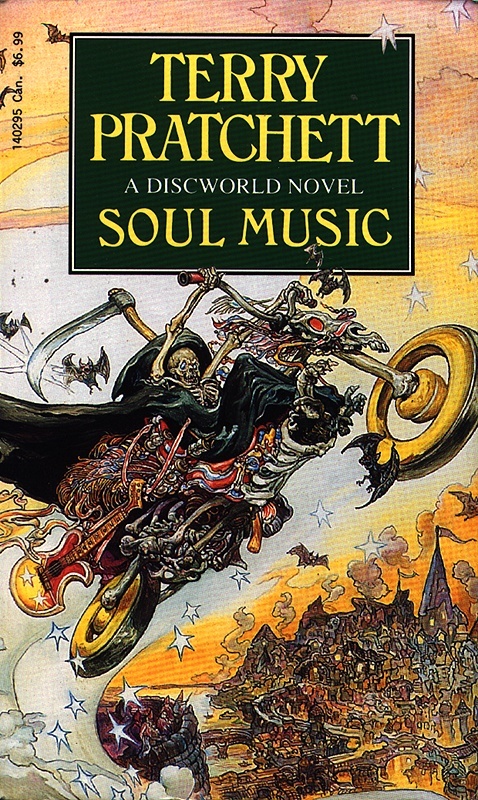 Soul Music was a good, entertaining read. But I mostly just don’t connect with Pratchett in the right way, and this book is no exception. Silence. Montag sat like a carved white stone. The echo of the final hammer on his skull died slowly away into the black cavern where Faber waited for the echoes to subside. Frost Moon is the first book in the Skindancer series by Anthony Francis. Dakota Frost is a magical tattoo artist. That doesn’t only mean that she’s a damn good inker, it means that her tattoos are actually magic, which is easily noticeable because they move. Her normal life gets disrupted when she gets drawn into a murder investigation because the killer likes to keep those magical tattoos. At the same time, she gets involved into shapeshifter and vampire politics and everything gets pretty damn complicated. Frost Moon is not necessarily a good book. I mean, it’s okay, it’s decent but objectively, it’s nothing to write home about. At the same time, though, it’s a hell of a lot fun. Dakota is a great character and I really enjoyed the story. It also helps that the author seems to be quite a nerd. That means that Magic: The Gathering jokes are just sprinkled on top of the whole thing. 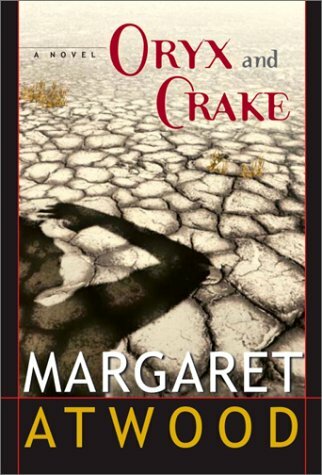 Oryx and Crake is a dystopian novel by Margaret Atwood. Snowman is sitting in a forest, surrounded by rather naive and simplistic people he calls Crakers – and whom he feels strangely responsible for. Slowly, he takes us back to a time when he was Jimmy and to his friendship with a guy called Crake, his obsession with a woman called Oryx and a world filled with strange animal splices and powerful corporations. Oryx and Crake is an excellent read. It’s well-written, interesting and has great characters. What more can I say? It infected the cultural consciousness, Sophie said. Zeitgeist was the German word for it. Happened to an extent after WW2. The whole country, maybe the whole world, has occasion to think ‘Where do we go from here? What happens now?’, and a lot of folks got scared because they don’t know, can’t see, can’t imagine. Serving dishes were placed on the table. Each of the diners were given a small painted tray on which was some tarnished cutlery, to place on his or her lap. Admittedly, one of the less exciting passages. Anyway, I decided to join the whole 1 Book, 1 Twitter thing, mostly because I’ve been meaning to re-read American Gods for a while now. It’s still really awesome. Having begun too high he stops, clears his throat, resumes. He held up a 3.5-inch computer disc, produced from his pcket with exaggerated nonchalance, like it was the cure for cancer and he was thinking of just chucking it in the fire. It was a deliberately paradoxical means of emphasising its significance, and for that, very Beadie. Look at this remarkable image for a moment. Now close your eyes and conjure it in your memory.